Kids go from “stuck in their own little world” to being outgoing and confident. Parents are thrilled. And school teachers appreciate the change, too! Be inspired by some of these amazing “UpLevel” stories. Like anything else, building confidence, focus and self-discipline doesn’t happen overnight. It takes hard work. You get out of it what you put into it. 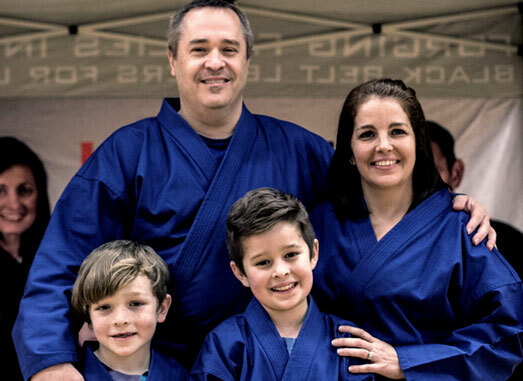 "Uplevel is a family martial arts studio that challenges people from 3 to 83 to be the best they can be. 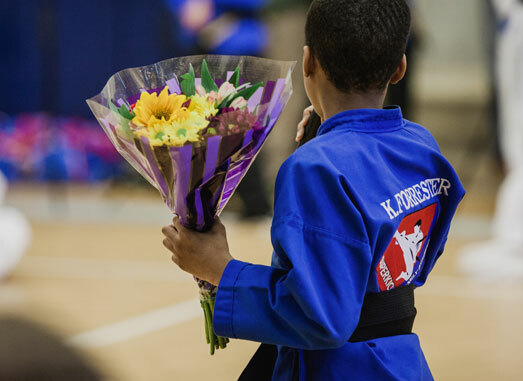 The principle-based approach by the kind but firm staff resonates so much with people because it's not just about the art of defense on the mat, but also in life. The motto is "training black belt leaders for life." This philosophy compliments my wife and my efforts with our children at home. 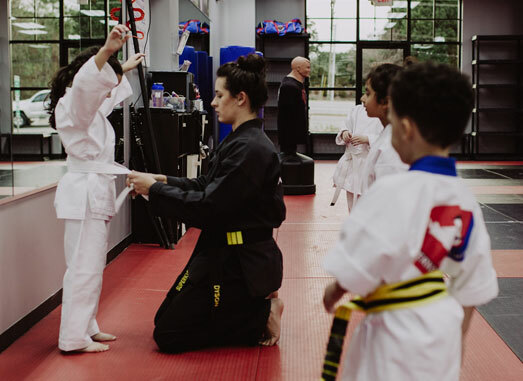 We've seen an increase in focus and confidence with our school aged kids, and have committed to earn our blackbelts as a family through this program. Oh yeah---it's fun too!!" "I will encourage anyone to Join UpLevel and set their goal for Black Belt + Beyond. This karate school has been life changing for my little family... We even have my husband taking classes and physical fitness is his nemesis LOL!" "I love UpLevel mainly because of all the great friendships you can make there. You call learn lots about self defense and stopping a fight before it even starts! This place is great if you are being bullied in school. Hope to see you in class!" "Our son has been attending for a few years now and we are thrilled with his progress. It takes persistence but the little guys do embrace it and love the instructors! (As do we)." 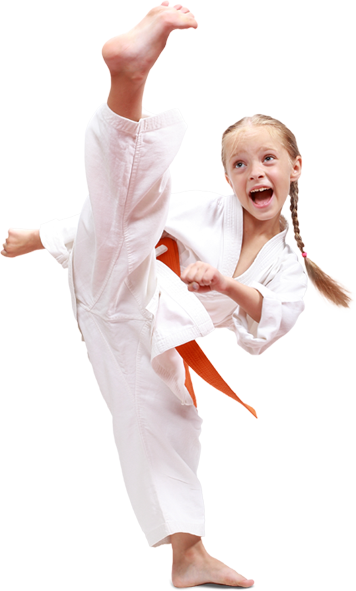 "The instructors at UpLevel Martial Arts are phenomenal at both karate and at life. They are kind, understanding, charismatic, character building, and they are real. Real life happens, to all of us, it is how we handle what life throws at us that makes the difference. Sometimes saying “stop don’t push me again” is enough to get that bully to stop hurting you. But, sometimes it takes a back fist. The same is true in life. How wonderful to find a place that cultivates both the soul and the skill, making you feel confident in tackling the intricacies of American Free Style Karate and the challenges of everyday life. Thank you UpLevel!" Would you like to “UpLevel” your life? Could you or your significant other use more confidence, focus and self-discipline? What about your kids? Take the first step and Try UpLevel Free. Your first martial arts class is on us. After that, you can get 1 free month of classes when you buy a uniform to see how you like it as you learn to defend yourself better, meet our instructors and talk to other parents. Plus, get a great workout with the whole family!